The BerlinBritzenale 2016 dedicates itself to contemporary art in the semi-public space. 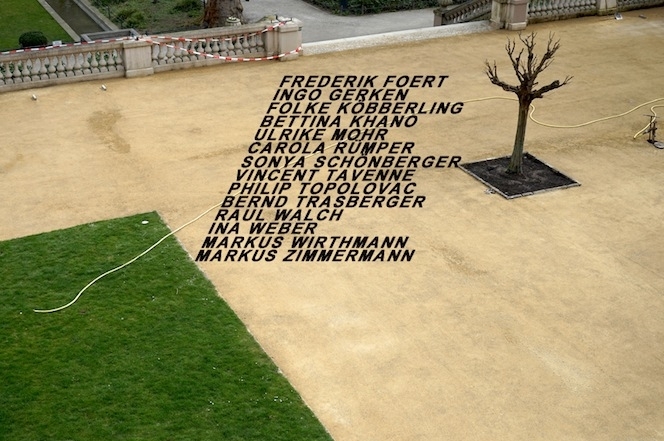 14 artists embark on this quest in a 400m2 large garden plot in the garden colony "Morgentau" in Berlin-Britz. Fences are elementary objects for allotments, as they describe the visible and sometimes insuperable separation between the private own, the neighbors and the public space. This demarcation and security is of great importance for the functioning of an allotment, which also explains the high density of flags and rims inside the garden colonies. The BerlinBritzenale wants to highlight, among other things, these territorial claims artistically and to open the garden for visitors. The well-known stereotypes of allotments, the behavior of the tenant farmers and the specialty about gardening and harvesting is examined under the magnifying glass. The BerlinBritzenale is made possible through the commitment of the participating artists and curated by Christof Zwiener.